Again, I'm doing a realtime setlist for tonight's U2 gig at Croke Park. Press refresh for updates. Weather isn't as beautiful as last night unfortunately, so you probably won't be able to hear it in Rathmines! To celebrate Ireland's official U2 weekend, or whatever you want to call it, I'm going to be providing you with some past U2 bootlegs from our own shores. This one is taken from the Unforgettable Fire Tour of 1984-85. 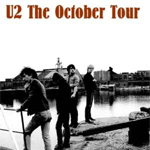 If you want any other U2 bootlegs, you should register with u2start.com who have everything from soundchecks to the very last show at Amsterdam from the current 360 Tour. It's a fantastic website, and is free to register. To celebrate Ireland's official U2 weekend, or whatever you want to call it, I'm going to be providing you with some past U2 bootlegs from our own shores. This one is taken from the Elevation Tour of 2001. To celebrate Ireland's official U2 weekend, or whatever you want to call it, I'm going to be providing you with some past U2 bootlegs from our own shores. This one is taken from the War Tour of 1983. Up to the second/realtime setlist from U2's first night at Croke Park. Provided by Peter at 2uibestow, who'll be doing a review of the show next week! Remember, keep refreshing or nothing will update! To celebrate Ireland's official U2 weekend, or whatever you want to call it, I'm going to be providing you with some past U2 bootlegs from our own shores. This one is taken from the ZOO TV/Zooropa Tour of 1992-1993. To celebrate Ireland's official U2 weekend, or whatever you want to call it, I'm going to be providing you with some past U2 bootlegs from our own shores. This one is taken from the Vertigo Tour of 2006. Liam Frost has enlisted Martha Wainwright for support on 'Your Hand In Mine' from his upcoming We Ain't Got No Money, Honey, But We Got Rain, and it's a great combination. The song works really well with Martha on backing vocals, and has gotten me excited for the album proper. 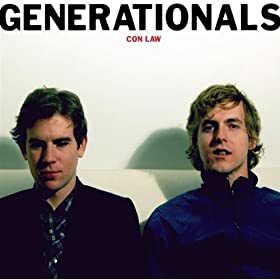 Con Law is the debut album from New Orleans indie poppers the Generationals. And for one week only, you can stream the entire album in full. But I'm guessing you'll only stream it once, and then rush off to actually buy the thing. Definitely one of my soundtracks to the summer. Yet more acts have been added to the already incredible lineup for this year's Electric Picnic. Mercury Music Prize favourites Florence and the Machine, our own Mick Flannery, Baaba Maal, and Laura Izibor have all been added. Just two days ago, I reminded you about Richard Hawley's upcoming album. Remember? Well, he's coming to Dublin to promote it with a fully seated show at the Olympia Theatre on October 22nd. Tickets go on sale this Friday at 9, and are priced at €29. I'm really excited for this show, especially as he'll be playing some new material. Singer-songwriter Joshua Radin will be back in Ireland after his excellent sell-out performance at the Sugar Club last year. He'll be performing at the Academy on October 4th. Tickets go on sale tomorrow morning (Thursday) at 9 a.m. I'd love to see our own Lisa Hannigan take it away, but it's good to see no huge acts on it this year (like Radiohead in other years). Also, Sweet Billy Pilgrim Led Bib, and Speech Deblle will no doubt appreciate the publicity. Apart from Lisa the best album there, for me, is Bat for Lashes. Incredible record. Yes, yes, it's Pete, but he goes by Peter these days. He's bringing his solo show to the Academy on the 14th of October. He'll also be traveling across to Galway to play Roisin Dubh the following night, and stopping off at Belfast's Mandela Hall on the 13th. Tickets for the Academy show are €26.50 and go on sale tomorrow. If this is the case, I cannot wait to hear it. Sunrise/Sunset is the name of The Dutchess and the Duke's follow-up to the wonderful She's the Dutchess, He's the Duke (all sic). Not much info as of now, but the album is ten tracks long and will be released on October 6th. Is she better than La Roux? Her songs aren't half as annoying when they're stuck in your head. Also, she doesn't look like a teenage boy. So that's something. Little Boots is coming to Dublin to play the Academy on Friday 27th of November. Tickets went on sale this morning, and cost €18.50. Conor Oberst/Jim James/M. Ward have named themselves the Monsters of Folk. Their self-titled debut album (which also features producer/Bright Eyes member Mike Mogis) will be released on September 22nd in the US, and the 21st in the UK on Rough Trade. Expect an Irish release on the 18th so. 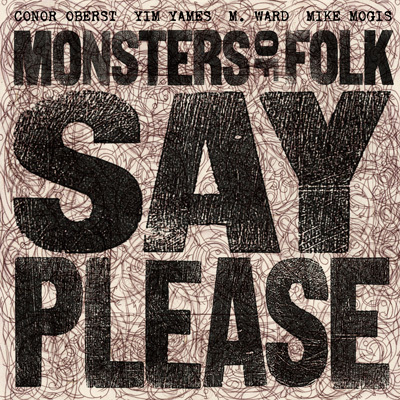 First single 'Say Please' can be downloaded from their website, by simply typing in the word "please". Clever, eh?